The on trend and elegant colours of this Dove Grey & Mint Classic Open Stacker are beautifully striking. 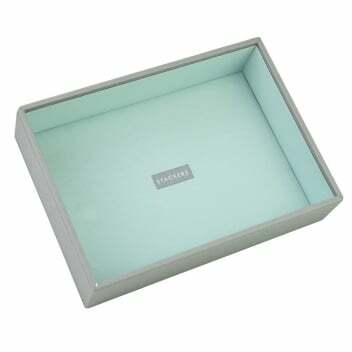 Deep enough to store watches, bracelets and glasses perfectly. Leave it open, buy a wooden lid or place it under a lidded stacker for a classic jewellery storing solution.